The No. 4 Stewart-Haas Racing team of Kevin Harvick was among five teams docked practice time at Richmond (Va.) Raceway on Friday as teams prepared for Saturday night’s Toyota Owners 400 Monster Energy NASCAR Cup Series race. 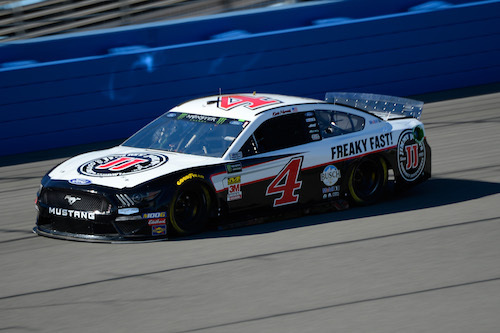 Harvick’s 30-minute penalty was a residual from his car failing pre-race inspection at Bristol (Tenn.) Motor Speedway on April 7, prior to the Food City 500. His race engineer was ejected at Bristol and Harvick had to start in the back and serve a pit-road, pass-through penalty at the start of the Food City 500 as a result of the inspection issue. The Cup Series had a second practice scheduled for Friday afternoon at Richmond, but that session was cancelled because of rain.